Find out why we're Cork's number one menswear store for weddings. 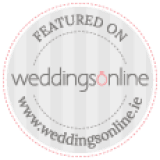 View our most exclusive men's wedding suits from our wedding gallery, browse our wedding accessories for that finishing touch of class, explore some of our past clients wedding photos or book a compliementary consultation with one of our specialists. The are no videos added yet.